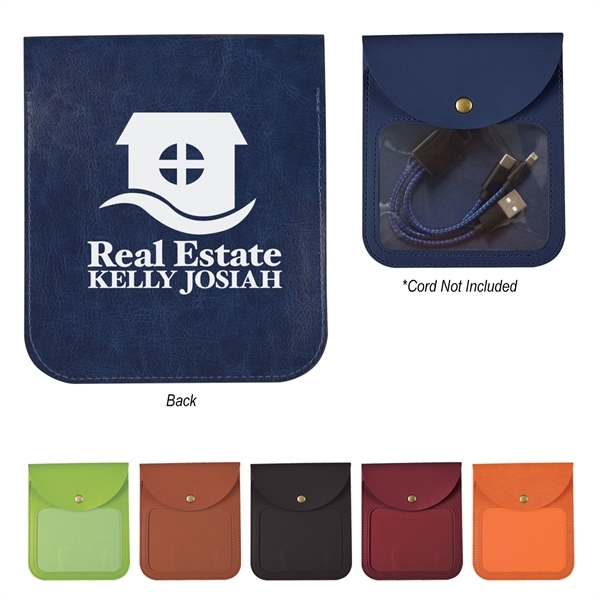 This square tech accessories pouch would make a great giveaway! It's made of polyurethane, measures 4 5/8" x 5 5/8", and allows you to securely carry all of your tech tools that help you stay entertained and productive. This features a clear front window and comes in several fantastic colors. Choose the one that works best for your marketing and imprint it with your company name or logo. Present this to customers who visit you at the next tradeshow to get the interested in learning more about your business!